*Trophy elk hunts include three days of guided hunting on our private ranch, lodging, all meals and non-alcoholic beverages . There are a lot of choices when it comes to elk hunting. Some hunts are just about the animal. 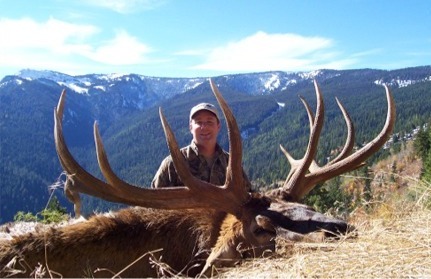 At Mountain View Elk Ranch we have some of the world’s biggest bulls, but this hunt is about much more than just the animal. This hunt is about combining the high country scenery, the mountaintop lodging, the pursuit of the animal, and the history of a third generation ranch to create a complete Idaho elk hunting experience. 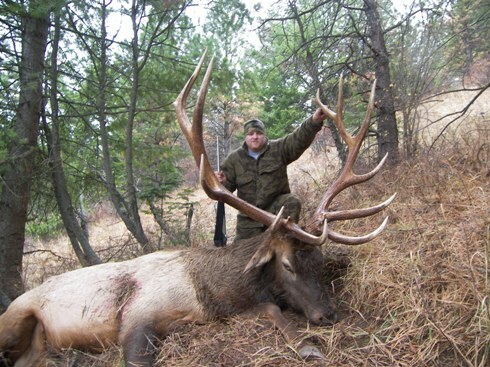 An elk hunt at Mountain View Elk Ranch not only includes an opportunity to hunt world class bull elk but also has all the elements of a classic big game hunting adventure. When hunting the 1200-acre mountaintop preserve, with panoramic views of the Seven Devils and Salmon River Mountains, you’ll be on top of the world. Four thousand feet above the Salmon River, Mountain View Elk Ranch awaits your arrival. Although we have been 100% successful since we started in 2003 the hunt can be extremely challenging. Some of these bulls have been hunted hard for several years and have yet to be taken. 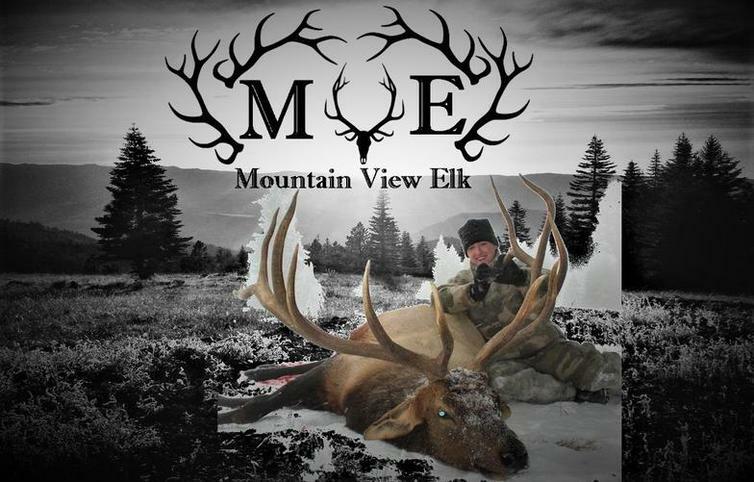 The Mountain View Elk Ranch, at 6,000 feet elevation, is handicapped accessible from rolling to rugged terrain scattered with Douglas Fir and Ponderosa Pine for concealing the archery enthusiast, untouched enough for black powder, and expansive enough for today’s high power stage. The elk are here. This hunt is for you.